Genuine, honest service with no hidden surprises. Daniel's apprenticeship was completed with a workshop specialising in rally car building, maintenance and race preparation. This role took him all across the country with the Australian Rally Championship. He followed this unique experience with specialty repair and service work on army vehicles, before opening his own mobile repair and breakdown service, and opening First Response Mechanical QLD Pty Ltd in Caboolture back in September 2015. 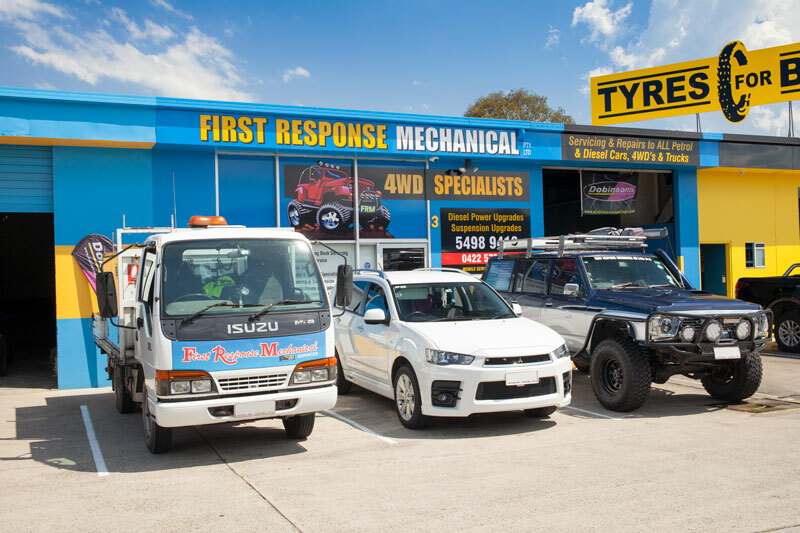 Today, the First Response Mechanical QLD Pty Ltd team includes factory-trained technicians and local tradespeople, providing quality workmanship and outstanding customer service to drivers in the Morayfield, Cabootlure, Burpengary & Narangba area and attracting a loyal customer base rapidly over word of mouth. We offer customers a free pick-up and delivery service within the local area, and mobile service for businesses with vehicle fleets. We're also proud members of the Morayfield community, supporting and sponsoring a number of local groups, events and sporting clubs. To learn more about First Response Mechanical QLD Pty Ltd and its services, or to make a booking for your own vehicle, contact us today. "Absolutely this is the best place to go to get your brakes done. Daniel at First Response Mechanical in Caboolture worked on my Great Wall 4x4. Needed brakes and rotors replaced. The service was fantastic, and the pricing was very reasonable. I highly recommend this business. Thanks Daniel job well done." "Prompt, professional and a dead set legend. Somehow I've managed to find some of the worst mechanics in the area until Dan worked on my car. Thanks heaps mate will be passing your number onto all." "Seven years in the car industry and Dan is by far the most reliable, honest and trust worthy mechanic on the coast. 4WD runs an absolute treat now and even got returned cleaned! Feel bad taking her back on the property now :) thanks again definitely be back."